Kouvola is a town and municipality in southeastern Finland. Get in touch with nature at Repovesi National Park and Beach Mansikkalahti. You'll explore the less-touristy side of things at Niivermaki Nature Conservation Area and Linden Esplanade. Venture out of the city with trips to Hiidenvuori (in Iitti), Hamina Town Hall (in Hamina) and Riverside Park (in Kotka). There's still lots to do: identify plant and animal life at Arboretum Mustila. For photos, reviews, other places to visit, and tourist information, refer to the Kouvola online tour planner . Lisbon, Portugal to Kouvola is an approximately 10-hour flight. You can also drive. Due to the time zone difference, you'll lose 2 hours traveling from Lisbon to Kouvola. Traveling from Lisbon in July, expect Kouvola to be little chillier, temps between 24°C and 14°C. Cap off your sightseeing on the 19th (Fri) early enough to catch the train to Imatra. 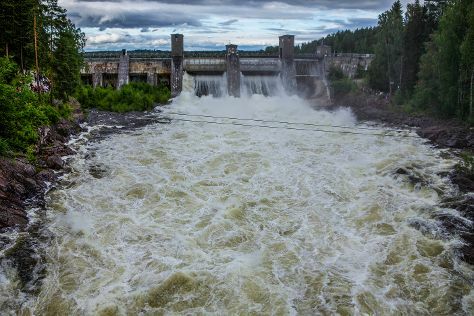 Start off your visit on the 20th (Sat): head off the coast to Lammassaari Island, stroll through Malonsaari, then pause for some serene contemplation at Tainionkosken Church, then pause for some serene contemplation at Church of St. Nicholas, and finally admire the sheer force of Imatra Waterfall. 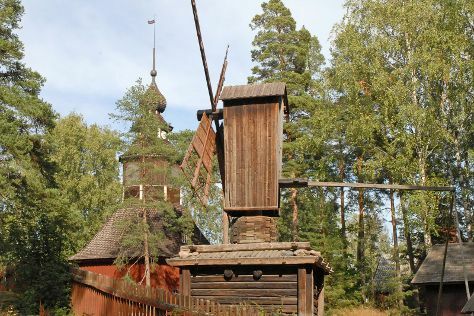 Plan a Imatra trip in moments using our itinerary builder. Getting from Kouvola to Imatra by train takes about 1.5 hours. Other options: drive; or take a bus. In July, plan for daily highs up to 24°C, and evening lows to 14°C. Cap off your sightseeing on the 20th (Sat) early enough to travel to Kuusamo. Kuusamo is a town and municipality in Finland. Start off your visit on the 21st (Sun): explore and take pictures at Palosaari Reindeer and Fishing Farm, then identify plant and animal life at Wildlife Areas, and then look for gifts at Shopping Center Kumpare. Here are some ideas for day two: explore the world behind art at Hannu Hautala Nature Photography Centre, explore the stunning scenery at Kiutakongas Rapids, and then hike along Pieni Karhunkierros Trail. To find reviews, maps, photos, and tourist information, you can read our Kuusamo trip site . You can do a combination of train and flight from Imatra to Kuusamo in 5 hours. Alternatively, you can drive; or do a combination of train and bus. 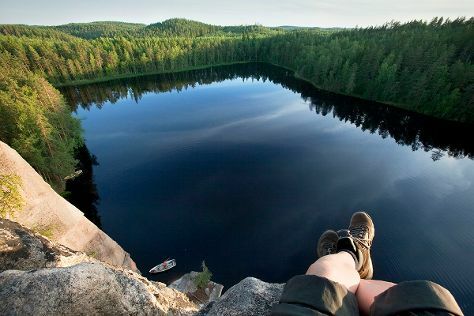 In July in Kuusamo, expect temperatures between 22°C during the day and 12°C at night. Wrap up your sightseeing on the 22nd (Mon) early enough to travel to Helsinki. On the 23rd (Tue), explore the world behind art at Kansallisgalleria, test your problem-solving skills at popular escape rooms, shop like a local with Hakaniemi Market, then get your game on at True VR, and finally get engrossed in the history at Seurasaari Island and Open-Air Museum. For reviews, photos, traveler tips, and more tourist information, read Helsinki itinerary planner . Getting from Kuusamo to Helsinki by flight takes about 3 hours. Other options: drive; or do a combination of bus and train. In July, daytime highs in Helsinki are 25°C, while nighttime lows are 15°C. Finish your sightseeing early on the 23rd (Tue) to allow enough time to travel back home.